WELCOME TO HOLY MARTYRS CONNECT! Connect began as a ministry at Holy Martyrs in Fall, 2016 to intentionally make our large church small and personal. The purpose is to further develop our relationships with God and with those in our Holy Martyrs community. Gatherings are held every day of the week, some in homes and others at HM. 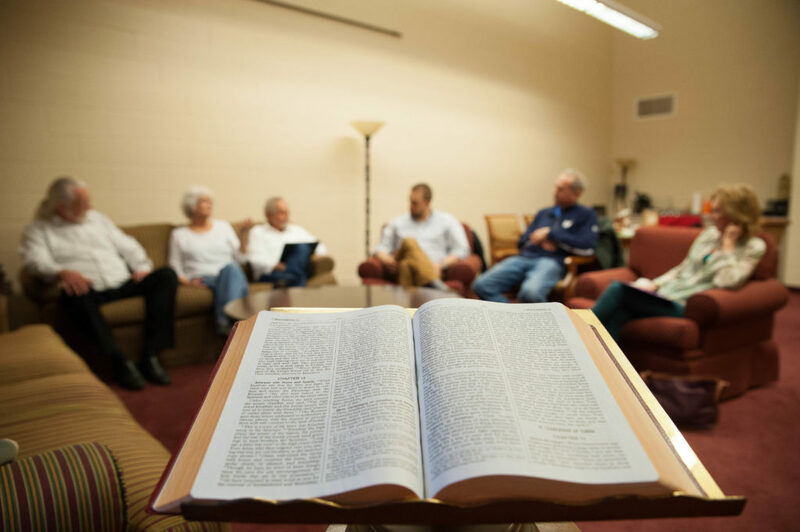 Groups meet for 90 minutes and review the Sunday Gospel, then watch and discuss a message relevant to members’ daily lives. Members are encouraged to attend the weekly gatherings and to pray for one another. Typically, there are 5-10 members in each group. Connect groups are currently offered for: Mixed Adults, Married Couples, Women, Men, and Parents of Young Children (children play while their parents meet). If there is interest, we will offer an online group during Lent. As our ministry grows, more specific groups may be added (e.g. Young Adults, Parents of Teens, Singles). Connect is a perfect follow-up to Discovering Christ, as well as a great entry point for adults seeking to grow spiritually and connect with other parishioners. One of the Core Values of Connect is to be welcoming of new participants. Please take that next step and join a Connect group. Signups are going on now for the Spring Session of Connect–Small Groups. The goal of “Connect – Small Groups” is to create insightful, relevant content that can be put to use in your personal faith journey. If you are a practicing Catholic — or aspire to be — then you are encouraged to join one of our Small Groups. Offerings for the final session of the 2018-2019 Small Groups experience include the popular lectio divina of the upcoming Sunday’s Gospel reading, the Beloved program for married couples, two groups for parents of young children and a group reflecting on Living the Integrated Christian Life. “Connect – Small Groups” offer extraordinary opportunities to explore spirituality, and in small communities within our larger community, offer opportunities to listen to and encourage one another. The atmosphere is prayerful, respectful and confidential. Please consider joining a Small Group this session. The session will be under way the week of April 28. You can register at the Welcome Center or online. CLICK HERE to sign up. For more information about Holy Martyrs Connect groups, please contact us at 330-722-6633.